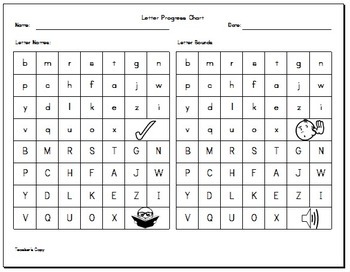 There are two sheets: one for the teacher to use while testing a student's mastery level and one for the parents to use with their child. The parent's copy is set up for them to sign and return the form at a date the teacher decides. The letters are in Manuscript Font, so it will be easily fit with your posters, flash cards and other resources.